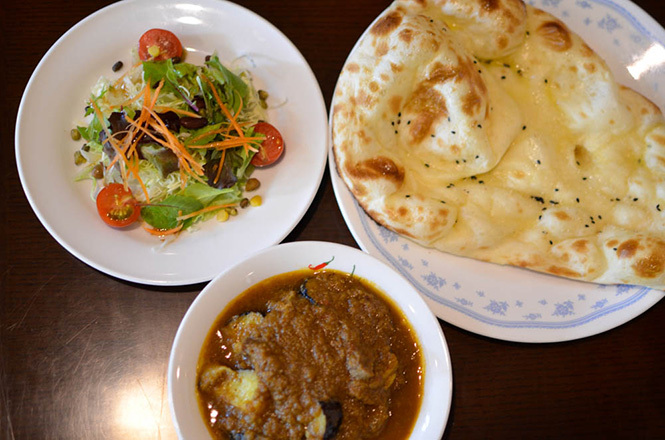 Mirch (ミルチ) is a long-established Indian curry restraunt in Chuo ward, Sapporo city. Mirch means a red pepper in Indian language. 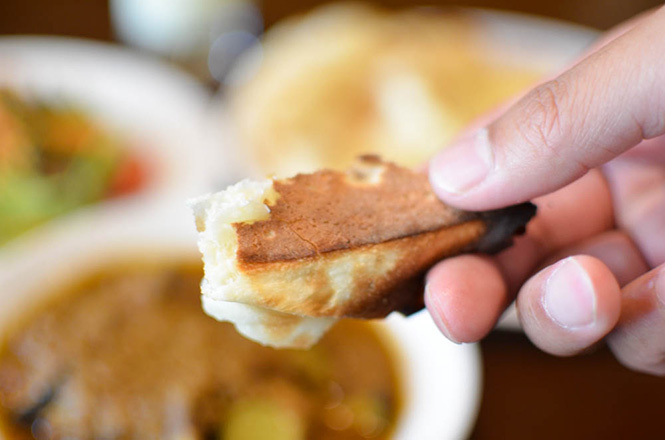 It was founded in 1982 and is kwown for having tasty curry and naan. 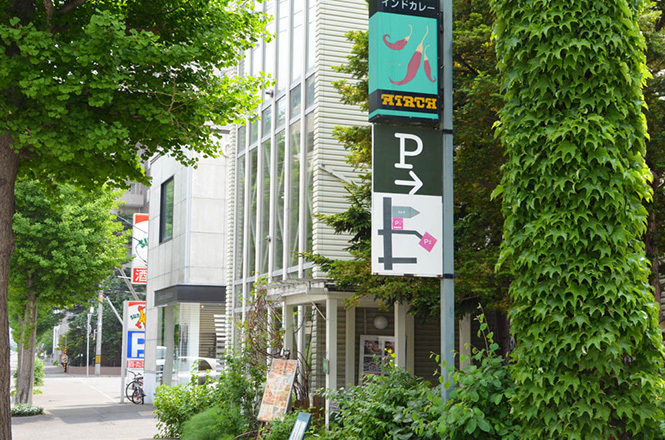 There is a building near Hokusei Girls Junior High School (北星学園女子中学高等学校). 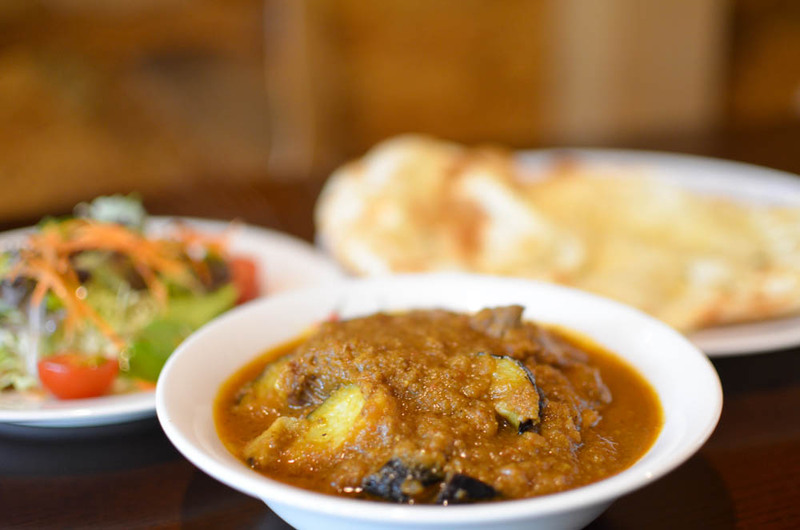 I visited here to eat mutton baigan curry around 13:00 on weekdays. The restraunt had a warmth of woods, and there were many tables and family customers seem to enjoy. 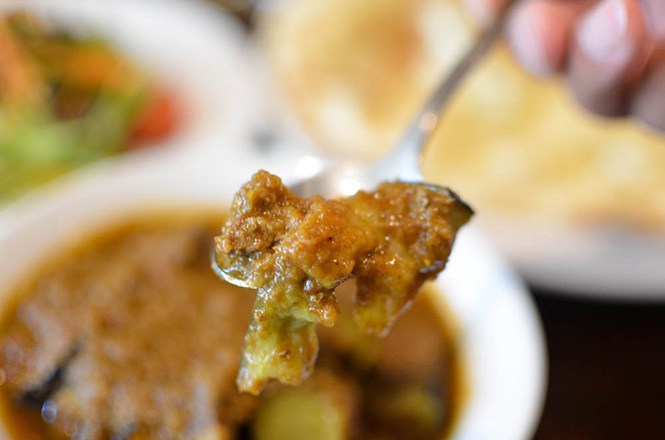 I sat at the table and ordered Mutton Baigan Curry (マトン・ベイガン) and a cup of lassie. The prices are JPY 1496 in total. 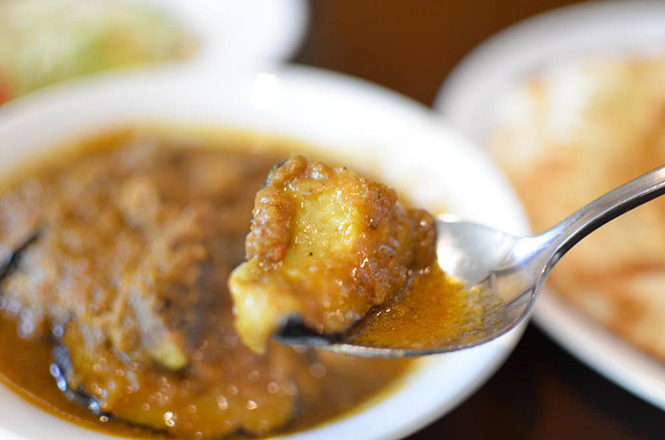 A characteristic of this restraunt's curry is curry soup that an onion and a full ripeness tomato are stewed with approximately 30 kinds of spice for 10 hours and they ferment the soup for 2-3 days. 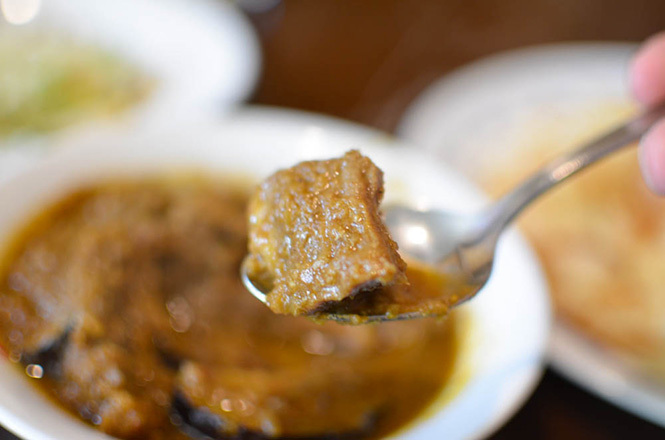 In addition, the soup is made from only vegetable juice without water. A taste spread over slowly and carefully in my mouth when I had a bite. Tasty! 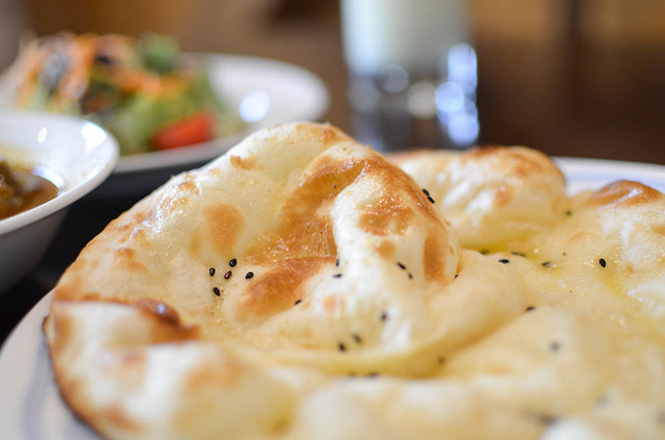 A chewy naan with sesame had a nice texture and flavor. 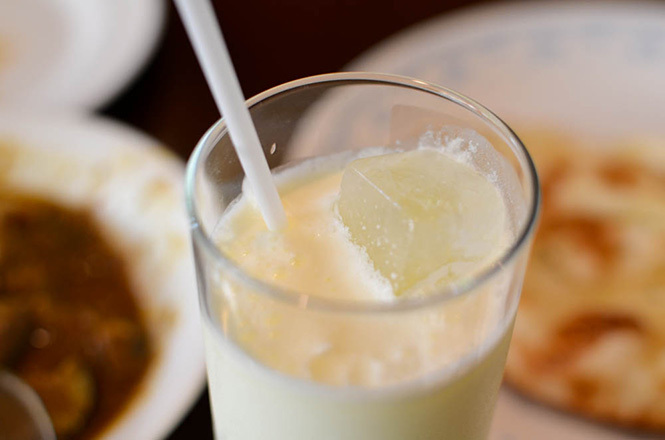 The lassie(yogurt-based drink) was made in Kimobetsu town. It was very rich taste. I was surprised at the taste a little. 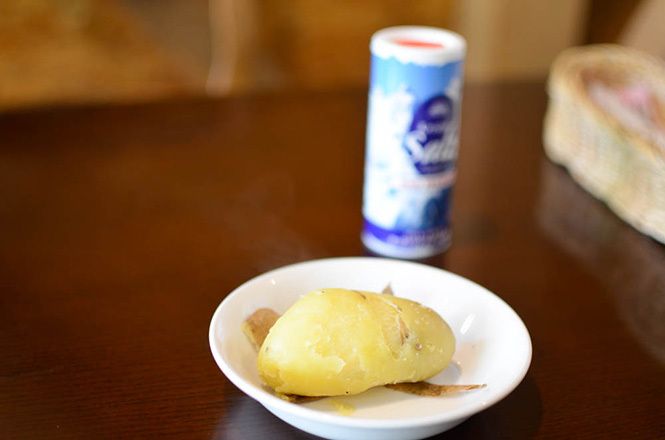 In addition, free steamed potato was served. It is famous potato brand which was stored under snow.